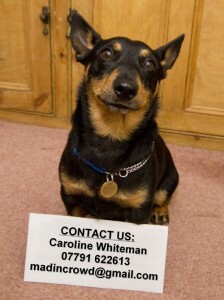 We love to promote our Vulnerable Native Breed. 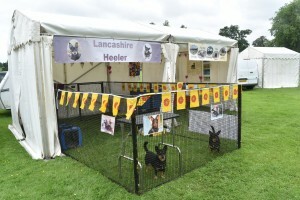 A great way to do this is to attend the Living Heritage Game & Country Fairs where we have a stand in the minor breeds area of The World of Dogs. It is a great day out and dates for 2019 can be found here. We enjoy the company of other Heeler owners who like to come and join us, so if you would be happy to come and help out and talk about Heelers all day, do get in touch! Or if you would just like to come and meet the dogs, there is lots to do and see and some wonderful displays. Click on the photo below to see our blog posts from the Game & Country Fairs. Setting up our display with Bilbo and Dora getting ready to greet the public!